Dr Eve Klein is a music technologist and popular music scholar, an operatic mezzo soprano and a composer. Eve currently works at the University of Queensland's School of Music where she is a Senior Lecturer and Program Convenor of Popular Music and Technology. Prior to joining the University of Queensland, Eve was the Convenor of Music at the University of New England. She is also an Ableton Live Certified Trainer. Eve's research is concentrated on music technology, recording cultures and contemporary music. Her current research explores classical music recording practices, environmental sound recording, popular-classical music hybridity, and technology-enabled performance. Her article ‘Performing Nostalgia on Record: How Virtual Orchestras and YouTube Ensembles Have Problematised Classical Music’ was awarded the International Association for the Study of Popular Music 2016 Open Publication Prize for Australia and New Zealand. Previous research has explored contemporary opera composition, femininity and vocality in Australian country music, DIY CD production in Australian music subcultures, and the role of music-making in the Maltese-Australian community. Eve is currently a peer reviewer for IASPM Australia/New Zealand, Musicology Australia, Arts Tasmania and the Australia Council for the Arts. Eve is considered a specialist in tertiary learning design and has developed curriculum for five Australian tertiary institutions. This includes leading development of four new bachelor degree programs, and numerous revisions to major and minor program sequences and individual courses across all areas of music specialisation. Notably, Eve led the development of Australia's first wholly online Bachelor of Music degree at the University of New England (2013-2015). Eve was the 2017 Institute for Teaching and Learning Innovation Humanities and Social Sciences Fellow at the University of Queensland and has been investigating how to enhance epistemic fluency and collaborative learning experiences across the Bachelor of Arts degree. Eve was also the recipient of a Technology Enhanced Learning award for 2016 which enabled her to redesign the music technology program in the University of Queensland School of Music with an employability and creative music making focus. This included founding the Touch Ensemble, a technology-based performance ensemble which upskills classical musicians and music educators by teaching them improvisation, composition and performance skills using tablet, laptop and networked audio devices. Students in this ensemble collaborate with students from Interaction Design Engineering to user test new hardware instruments and performance controllers in development. Eve has been Project Leader on over $700,000 of successful research, infrastructure and teaching development grants since 2015. In 2019 Eve will be a fellow of the Institute for the Advanced Studies in the Humanities at the University of Queensland. Eve's composition and performance work draws together traditional and experimental classical music, interactive performance art, and glitchy electronica. Eve's music has featured at Australian and international festivals including VIVID Sydney, Brisbane Festival, World Science Festival, Underbelly Arts, Turra New Music Festival, Undisclosed Territories (Indonesia), Melaka Art and Performance Festival (Malaysia), and the International Festival of Artistic Innovation (England). Eve's recordings have been released on Wood and Wire, New Weird Australia, and Feral Media. She was a principal artist with Opera Australia and Pacific Opera. Additionally, Eve has worked as a media and record producer for over a decade with a specialisation in classical music recording and sound design for film and interactive media. Eve has received numerous grants and awards for her performance and composition work, most recently receiving a 2017 Australia Council for the Arts Music Section New Work Grant and a 2017 APRA AMCOS Art Music Fund commission to compose Vocal Womb for the MONA FOMA festival. Vocal Womb premiered at MONA FOMA in January 2018 (Museum of Old and New Art, TAS) to widespread critical acclaim and international press coverage. Vocal Womb will tour internationally throughout 2019-2020. 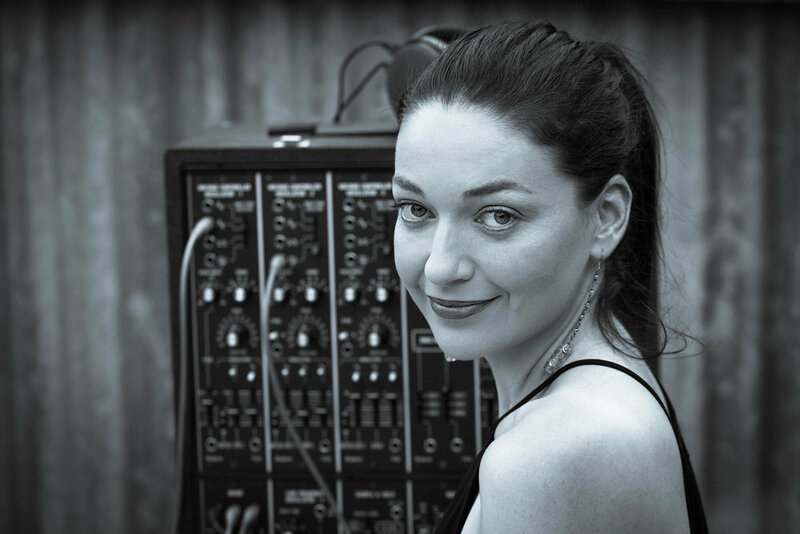 Eve's electronic opera The Pomegranate Cycle was a finalist for Vocal Work of the Year in the 2014 Art Music Awards presented by APRA and the Australian Music Centre. The album version of The Pomegranate Cycle has been downloaded over sixty thousand times since its release in 2013.